Home » Esquire Networks: Beowulf Official Trailer! Esquire Networks: Beowulf Official Trailer! Beowulf is one of the greatest works of English literature and is now made into a series on the Esquire channel from ITV Studios Global Entertainment. I recall their work on the Primeval series and also Tim Haines worked on Walking with Dinosaurs. The series is set to debut on January 23rd. One of the fastest growing networks in cable, Esquire embarks on a journey into its second original scripted series with the epic tale of “Beowulf,” premiering Saturday, January 23rd at 10pm ET/PT. Based on the legendary English poem over a thousand years old, Beowulf tells the story of a disillusioned and damaged hero. The 13-episode, one hour drama will chronicle Beowulf’s return to his home Herot, to make peace with his past. Unwittingly in search of a cause to believe in and a community to fight for, Beowulf finds himself wrongly accused of murder and hunts down the true perpetrator to avenge the death of his fellow kinsmen. Beowulf becomes Herot’s tough but unconventional hero, responsible for upholding the law and protecting the town from danger. The last of a dying breed, Beowulf is a man capable of shaping the world around him by his actions and force of will. While this may seem like a familiar tale, Beowulf unearths the full story of the complicated, driven man behind the lore. The series stars Kieran Bew (“Da Vinci’s Demons”) as Beowulf; multi-award-winning actor William Hurt (“Damages”) as Hrothgar; acclaimed actress Joanne Whalley (“Wolf Hall”) as Rheda; Ed Speleers (“Downton Abbey”) as Slean, Laura Donnelly (“Outlander”) as Elvina and David Ajala (“Black Box”) as Rate. 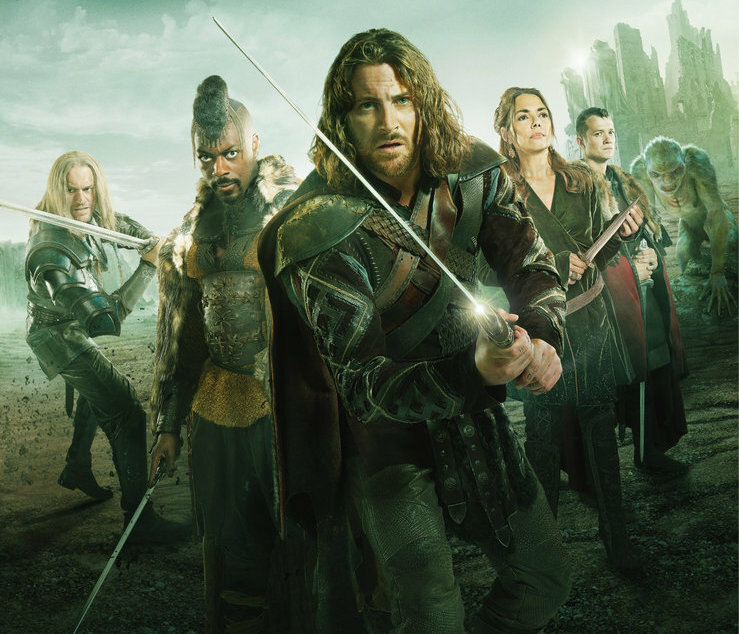 “Beowulf” is produced by ITV Studios with Tim Haines and Katie Newman serving as Executive Producers along with James Dormer (“Strike Back”), who writes the series. It is distributed internationally by ITV Studios Global Entertainment.